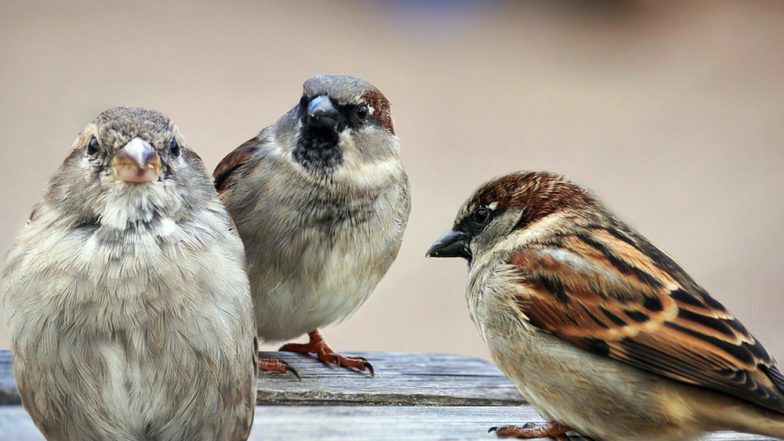 World Sparrow Day 2019: Where Are All the Sparrows in India Gone and How Can We Help? Every year March 20 is observed as World Sparrow Day. Crows and sparrows are probably the most commonly seen birds everywhere, but the situation isn't so anymore. The need for marking this day was felt due to the tremendous decrease in its population. It is sad to say, but the house sparrow is on the verge of extinction. World Sparrow Day is marked to raise awareness about these birds. The designated for sparrows began following an initiative started by Nature Forever Society of India when they collaborated with Eco-Sys Action Foundation (France). There are also other national and international organisations that work in collaboration for this day. Since it started as an Indian initiative, it really remains a question where have all the sparrows in India gone? 10 Interesting Facts About The Chirpy Bird Which is on The Verge of Getting Endangered. 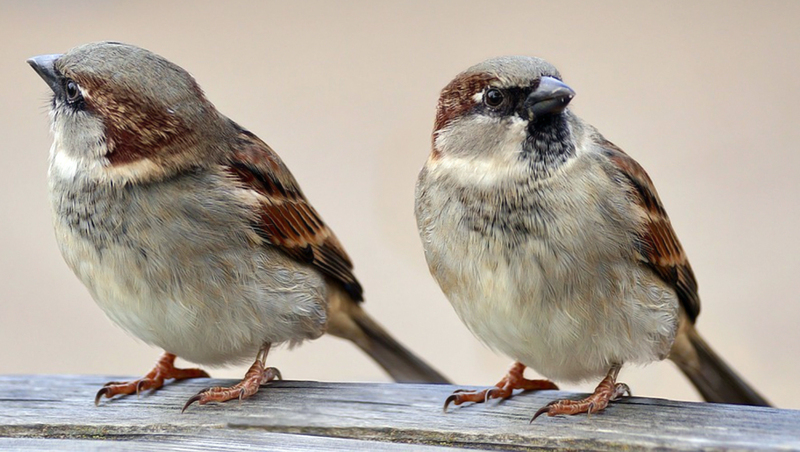 Do you remember the last time you saw a group of sparrows in your area? They were quite social too. So sparrows coming and sitting on your window pane was quite common. It is actually disappointing that the bird is now at grave risk. Once abundant birds are now rapidly declining. The major infrastructural changes are one of the main reasons for the decline. Along with the infrastructure, the lifestyle of people has also changed. Earlier, the sparrows would commonly get grains to survive on. But as people shifted to high rises, replacing the tree cover in the cities, the sparrows too shited, but sadly towards extinction. Human activities and expansion are a major reason, the birds have shifted out from the cities. To put it another way, the cities are expanding. Sparrows have been included in the IUCN: International Union for Conservation of Nature. The disappearance of sparrows is a serious issue because it is an indicator of the ecological crisis. It is also a sign to show how humans are causing environmental hazards. Another major factor causing the decline of sparrows is the rise of cell phone radiation in the city. These radiations interfere with the immune system of these birds, gradually causing their decline. As more and more people depend on grocery stores for foodstuff, the grains given as food to these birds also decline. The big birds are also on a rise, which preys on these small birds. Tiny Bird’s Victory Pose After It Managed to Escape from its Prey is Motivating (See Pic). It is the summer season, always keep a bowl of water and a separate grain bowl in your windows. If there are even a few sparrows around, they will keep coming when they realise they regularly get water and grains. Try and plant trees in the nearby area. One of the major reasons they are disappearing is the lack of green cover. Ensure that the waste around your area is cleared out regularly. But try and make bio manure of your kitchen waste. Birds come and feed on the microbes. You can also get an artificial nest. But ensure, it is not too bright and colourful. The covered nests provide a comfortable shelter to these small birds. Don't use too much of insecticides and pesticides as they cause chemicals to enter into the bodies of these birds. The concrete jungle is taking over the lives of not just sparrows but even other birds and it is indeed a thing to worry about. It is time we put serious thought to it and start working towards the conservation of these birds. This World Sparrow Day, let's decide to work towards the conservation of these birds who have now become an indicator of our childhood memories. Thugs of Hindostan: Katrina Kaif Copying Zoe Saldana’s POTC Dialogue Was the Cringiest Moment From Aamir Khan’s Box-Office Bomb!